Here is a collection of essays edited by the great sociologists of religion Robert Bellah and Hans Joas that is likely to be of great interest to law and religion scholars, The Axial Age and Its Consequences (HUP 2012). The publisher’s description follows. The first classics in human history—the early works of literature, philosophy, and theology to which we have returned throughout the ages—appeared in the middle centuries of the first millennium BCE. The canonical texts of the Hebrew scriptures, the philosophical writings of Plato and Aristotle, the Analects of Confucius and the Daodejing, the Bhagavad Gita and the teachings of the Buddha—all of these works came down to us from the compressed period of history that Karl Jaspers memorably named the Axial Age. In The Axial Age and Its Consequences, Robert Bellah and Hans Joas make the bold claim that intellectual sophistication itself was born worldwide during this critical time. Across Eurasia, a new self-reflective attitude toward human existence emerged, and with it an awakening to the concept of transcendence. From Axial Age thinkers we inherited a sense of the world as a place not just to experience but to investigate, envision, and alter through human thought and action. Bellah and Joas have assembled diverse scholars to guide us through this astonishing efflorescence of religious and philosophical creativity. As they explore the varieties of theorizing that arose during the period, they consider how these in turn led to utopian visions that brought with them the possibility of both societal reform and repression. The roots of our continuing discourse on religion, secularization, inequality, education, and the environment all lie in Axial Age developments. 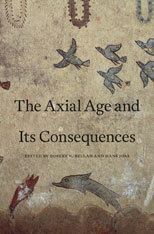 Understanding this transitional era, the authors contend, is not just an academic project but a humanistic endeavor.